Have you always wanted to know the feeling of peering through the curved windshield of one of Porsche’s masterpiece prototypes? Do you spend evenings wishing you were slamming the lengthy gear lever into place and waiting for the turbochargers to spool, propelling you toward the stratospheric upper end of the speedometer? Do you fancy yourself a new-age Derek Bell? 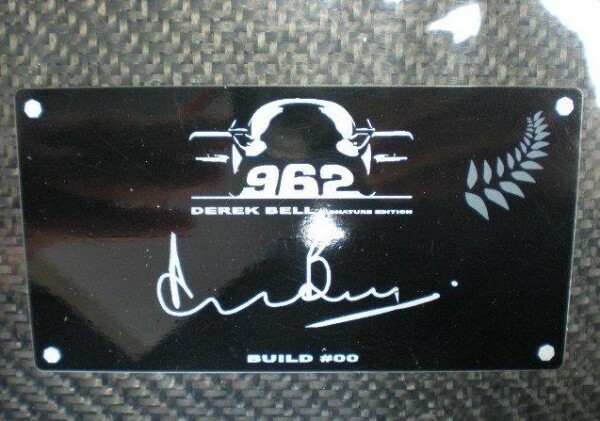 Well, you may not be able to drive like Derek, but now you can drive his car! As I’m sure you've heard by now, Malton Specialist Cars Limited in North Yorkshire, England has the vehicle that belongs in your driveway. The performance to dollar ratio is stratospheric, and this car could be the potential deal of the century. For just 324,995 British Pounds Sterling ($522,819 US Dollars), you can become the new owner of a Derek Bell Signature Edition Porsche 962 road-legal racing car. An amazing dream come true, right? This particular road-legal 962 is not to be confused with the Dauer 962, or Vern Shuppan’s 962CR. FabCar was entrusted by the Porsche factory to reproduce aluminum monocoques for American based IMSA competitors. As such, this chassis was originally destined for competition in the hands of New York residents and IMSA legends, Dyson Racing. Later, plans were changed to divert the unregistered chassis 962-00 from a life of racing to the life of a super-fast road car. The Bell special was intended for a larger production run, but that plan, t00, was aborted. While the engine is not standard 962 fare, it is still plenty powerful. The peaky, laggy, single-turbo 2.8L Mezger designed flat-6 has been replaced with a more streetable 580 horsepower 3.6 liter twin-turbo unit direct from the legendary-in-its-own-right 993 GT2. This engine also delivers up 546 lb-ft of torque for rapid acceleration, especially in a chassis that weighs just over 1800 pounds. The stats seem to speak for themselves, right? So why has this car not sold yet? To our knowledge, Malton has been the caretaker for this car going on a year. Why hasn’t anyone taken them up on their offer and become the new owners of this glorious piece of kit? As supercars go, it’s not much more costly than a top of the market Carrera GT, and the price certainly falls short of some of the more “boutique” supercars on the market. 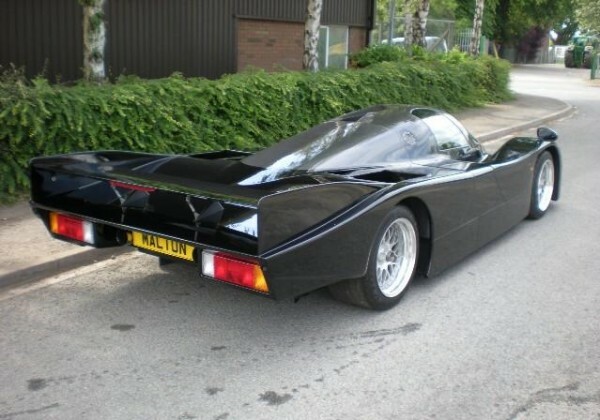 962-00 will blow by any Enzo or Zonda on the track, and it certainly wins out in the looks department. It doesn’t get any more exclusive than a 1-of-1. Even for the 962 market, the price seems a bit soft. A quick look around has given three examples to compare with. First, the Drendel Family collection sold a pair of “Lowenbrau” liveried cars. 962-103 was built at the Porsche werke, won the Daytona 24 twice, and sold for a phenomenal $1,925,000 last summer. Selling at the same auction was 962-HR1. Built by Holbert Racing for use in the IMSA GTP series, this chassis was visually very similar to #103, yet sold for $935,000 without the endurance victory provenance. The third car, 962-DR1 is going up for auction at this year’s RM Auctions at Monterey. A car build by Richard Lloyd Racing for Dyson Racing, this honeycomb aluminum monocoque was one of the best 962 chassis, and went on to win the 1988 IMSA GTP Championship. RM estimates 962-DR1 will sell between $1.2 and $1.6 million USD. So, 962-00, the Derek Bell car, is priced at half, perhaps as little as one-third of the going rate for a well-kept 962. If you aren’t preoccupied with race victories or provenance, and street-legal, useable performance is more your speed, perhaps you should give Malton a call. If I had a spare half million sitting around, you can bet that it wouldn’t be sitting around for long, and I would be steadily racking up miles in my new 962. Did You Know PDK Was First Introduced on a 962? What is It About the Porsche 356? Well, its a replica! And besides, it just doesn’t look right; maybe a vintage paint job would help.